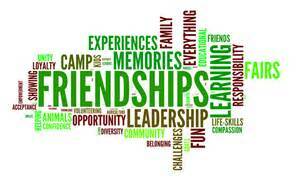 We are glad you are considering being a volunteer with 4-H! The 4-H program reaches out to kids and their families to build skills for life. Check us out! 4-H has a hundred different hands-on projects to offer. There are four types of Volunteers. You can volunteer as more than one type of volunteer for numerous clubs! All potential 4-H volunteers apply by completing the WSU 4-H Volunteer Application Forms. Member and Leader safety and acceptance is our top priority, so all applicants must also agree to participate in a reference and background check. Provide Three References, please provide email addresses where possible. Receive a letter of approval from the 4-H Office and start reporting your volunteer hours! These trainings are intended for potential volunteers, as well as current or past volunteers wanting a refresher. Please retain copies of your completion certificates, these do not need to be shared with the 4-H Office but could be requested for confirmation. Every new Club or Project Leader is required to attend a New Volunteer Orientation. These are held throughout the year and are open to other volunteers as well. 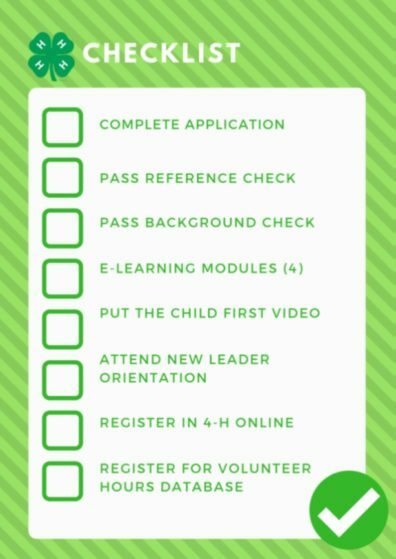 Other parts of the Volunteer Application Process must first be completed to attend. This is usually the final step! Search our Calendar of Events for the next upcoming Orientation. Every month at the Leader’s Council Meetings a half hour training is provided by Extension Staff from 6:30 pm to 7:00 pm. Requests for training topics are always welcome! This is a required part of being a WSU Volunteer. Your hours help us demonstrate the value and dedication of our 4-H Volunteers to our stakeholders. Report time spent at, planning for, and driving to any 4-H event.